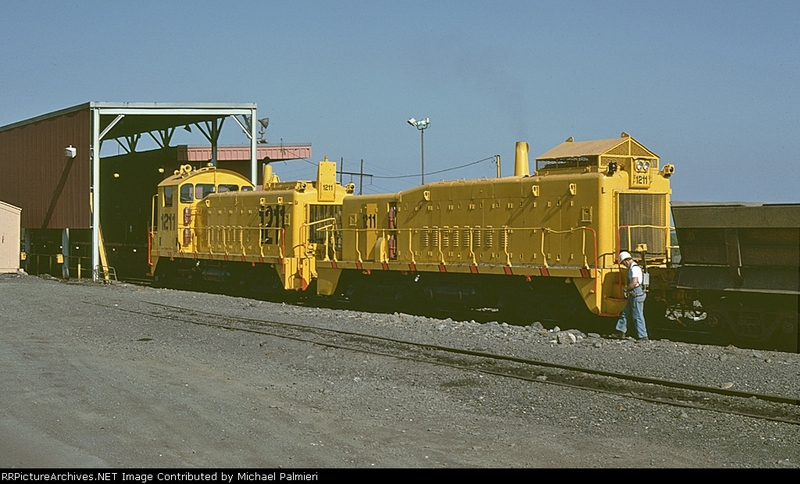 Minnesota Taconite 1211 was built built as a conventional TR6 in December 1951 as Oliver Iron Mining 1211. In this view, the calf unit has been relocated in front of the cow. Locomotives: MINNTAC 1211(TR6B) Author: Paul H. Oliver, Jr.